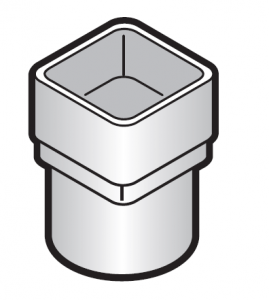 Square to Round Downpipe Adaptor. 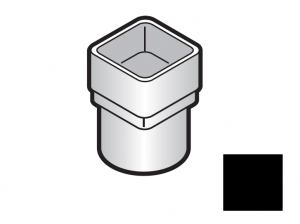 This FloPlast plastic downpipe fitting is part of a high quality and easy to Install PVCu rainwater system. 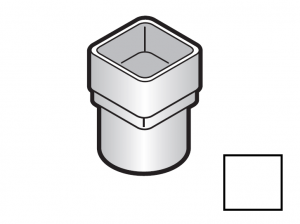 This plastic FloPlast Square to Round Downpipe fitting is suitable for downpipes measuring 68mm in diametre and 65mm square and converters between the two shapes. This FloPlast downpipe fitting is available in Black, White and Brown.